Ah, Liam Neeson! After his roles in the Taken films, The Grey and now this feature, some have gone as far as to dub him the king of B-movies. I don’t know if I’d go that far but I do know that I can count on the man to usually take the material and live out his character wonderfully in each of his roles.That ability is present and in top form here in this rather thrilling and tense feature. I think this is a terrific set up because – just think about it. There’s only so much you can get up to on a plane and here’s this bloke threatening to kill another bloke every twenty minutes? How will they do that? I want to see that happen! It’s a plot that doesn’t outstay it’s welcome and thankfully, I was kept guessing as to who was behind it, what was going on. Is it this actress? Is it this man? They kept me guessing throughout. I will say that the events within the story get a little sillier as it all unravels but the thing with this film is that never really ceased to be exciting. I was always in the moment stumbling along the clues with Neeson’s character. So: Props to the cast here. Julianne Moore is a little underused and underdeveloped but she’s turns in a solid effort and the rest can be said about the ensemble cast used here as great support also comes from Anson Mount, Scoot McNairy and Michelle Dockery. Director Jaume Collet Serra (House of Wax) shows he can direct action sequences effectively and can utilise the cast quite well and overall manage to keep the story zipping along. I also liked how the text messages that Liam Neeson’s character received from the mysterious number popped up on screen – I thought that was a nifty effect. 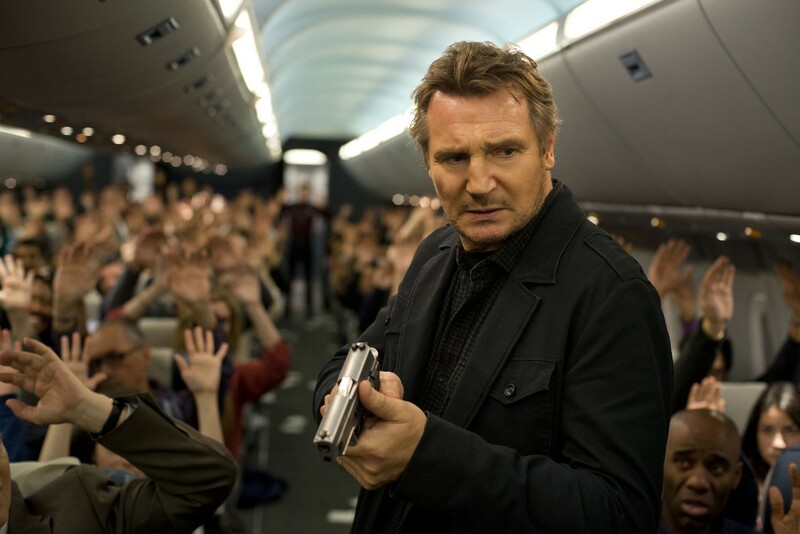 Over all, I think Non-Stop is worth the trip to the cinema. Sure, it’s not as brilliantly woven as some thrillers that are out there but then do you really need it to be? This is solid entertainment and with Neeson in front putting his heart in what could’ve been a poorly sketched out character, It helps raise the entertainment value of the piece.